Safety cutter 2.5" long. Suitable for use on aircraft. 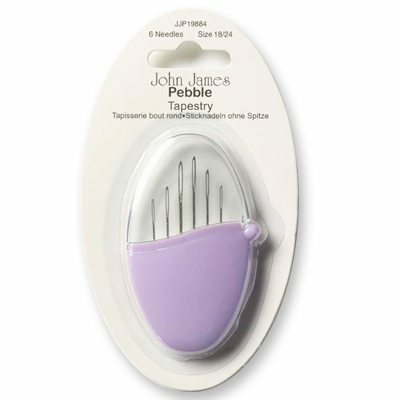 This soothing lavender pebble needlecase contains 6 John James tapestry needles, sizes 18 to 24, with large eyes and blunt points. A must for every workbox. 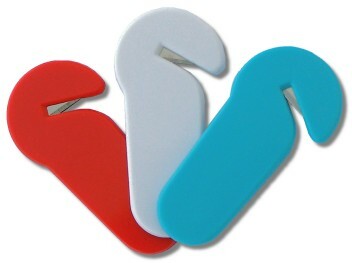 An essential tool for all types of needlework. Includes a meauring tape, stuffing tool, piercing punch, knit picker, seam ripper, thread cutter, magnet, punch needle, magnifying glass needle threader and tweezers.